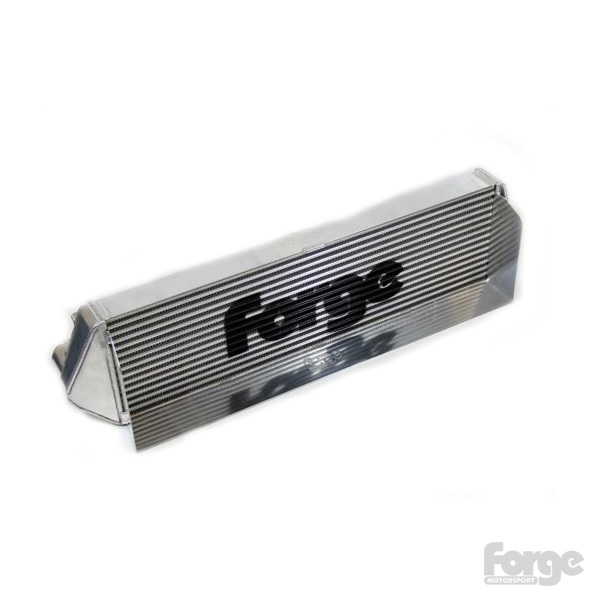 This intercooler for the Ford Focus ST250 is a real example of British Engineering at its best. Designed with a greater surface area and cooling efficiency than the stock core, this is a real performer. Our core maximises all the space the Ford designers failed to take advantage of, and is combined with an expertly engineered hard pipe kit to maximise the flow rates, and ensure minimum resistance and pressure loss. We have seen excellent test results. On a typical standard car we saw gains of 18bhp. Temperature drops are in the order of 20°C at the intercooler outlet, compared to the stock core, indicating that the turbo does not have to work as hard, despite the fact the engine now has more power.